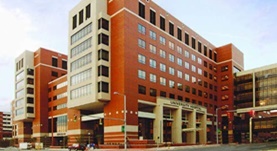 Dr. Amanda Hathaway graduated the medical school from the Medical College of Georgia and completed her residency program at the Medical University of South Carolina. She is specialized in medical oncology and board certified in oncology. Dr. Hathaway has been in practice for more than 3 years and is affiliated with the University of Alabama Hospital. During her career, she has also contributed to 3 publications of medical interest. Dr. Amanda Hathaway has contributed to 3 publications. When Hodgkin Comes to a Head: Hodgkin Central Nervous System Involvement. Hathaway, A. R.,Amadon, J. P.,Keith, B. A.; Am. J. Med. Sci.. 2015 Feb 28. Survival of melanoma patients with brain metastases treated with ipilimumab and stereotactic radiosurgery. Tazi, K.,Hathaway, A.,Chiuzan, C.,Shirai, K.; Cancer Med. 2014 Aug 29. Incidental discovery of a testicular plasmacytoma at initial presentation of multiple myeloma. Hathaway, A. R.; Case Rep Hematol. 2013 Jun 06.